Whether you are christening or baptising your child, or whatever the milestone or special occasion in your child’s life our personalised invitations are perfect. 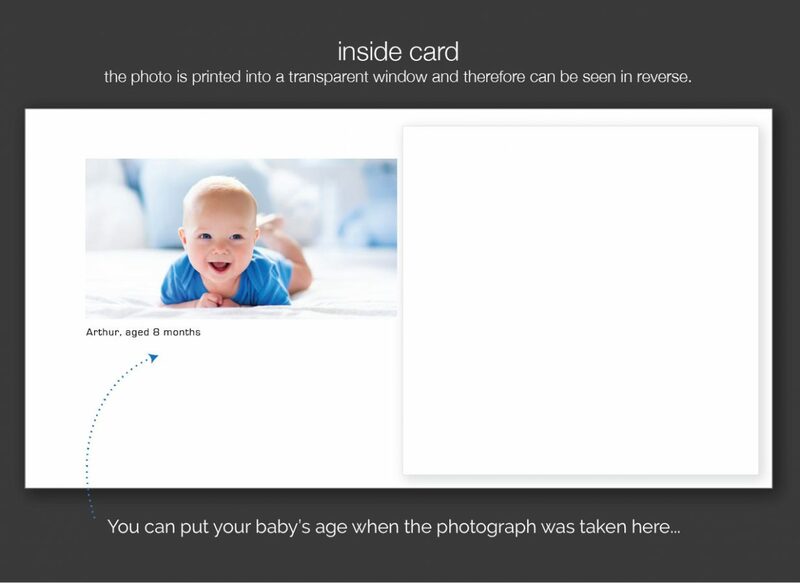 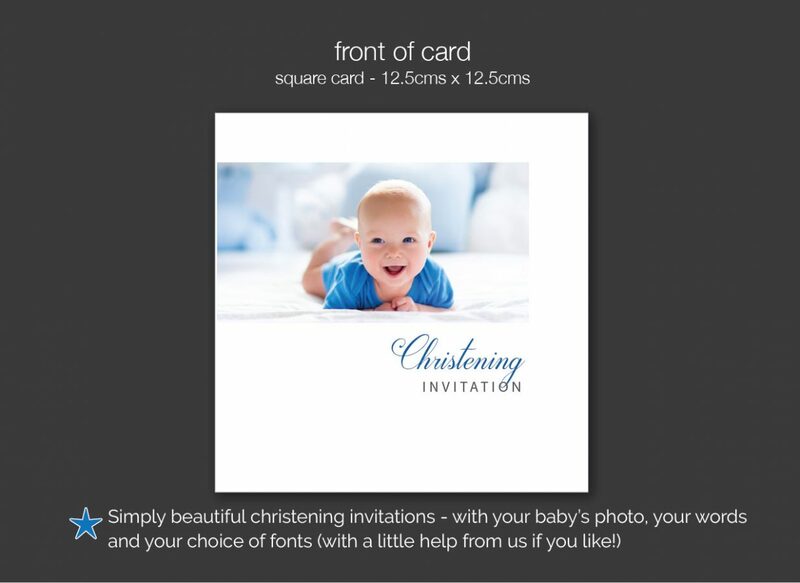 Using a photo makes it personal and your choice of wording makes every card different. Look no further if you are wanting something unique and something that extra bit special. 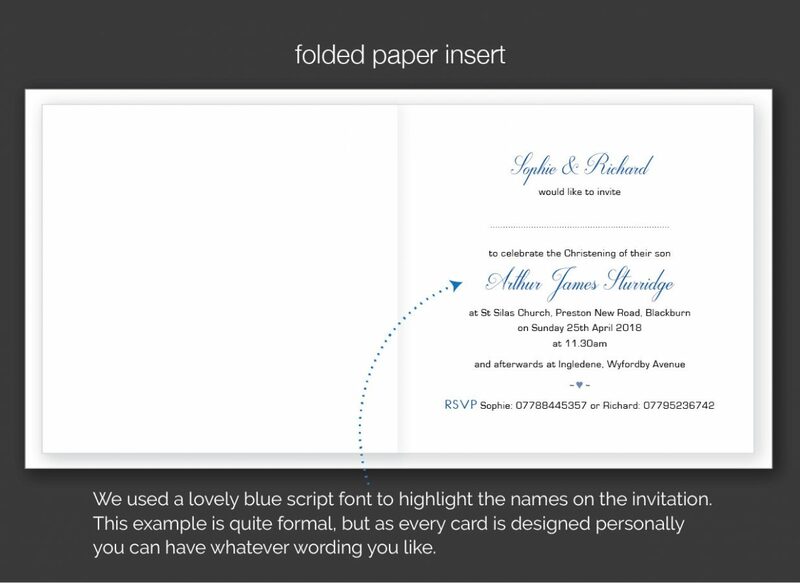 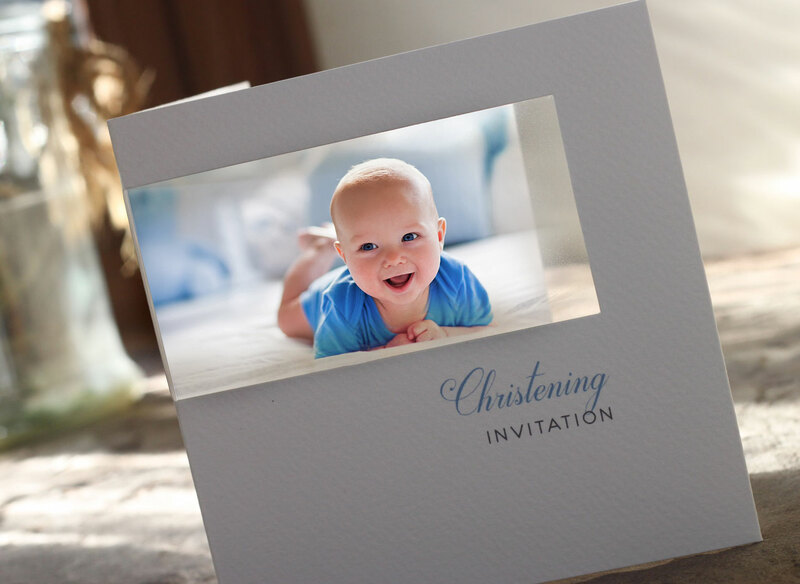 Just tell us you like the ‘blue christening invitation’ if you would like to use any design details from this example.